Our family has been dedicated to the art of wrought iron workmanship for residential and commercial purposes since 1982. Our craftsmen have years of experience and take great pride in their creativity and artisan skills, always striving for excellence in each piece they build. All our creations reflect our team’s dedication to provide you with a unique, high quality product that provides security and durability while bringing elegance and distinction to your home or business. Duomo Iron Doors is a leading wrought iron manufacturer in Mexico that is now offering its creations to customers in the USA who have a sophisticated sense of style and want a high level of quality, appearance and security. Our artisans hand-forge their masterpieces with our customers’ expectations and needs in mind, delivering a unique piece of art for their homes and businesses with quality that will last for many years to come. At Duomo Iron Doors we strive everyday to be your best choice when it comes to artistry, elegance and unique craftsmanship. Peck & Company metal smiths design and produce high end custom metalwork. Located in Houston, Texas, our portfolio reflects our 25 years of work. We focus on building electric and gas lanterns, chandeliers, sconces, tables, beds, fire screens, pot racks, drapery hardware and numerous one-of-a-kind items. Peck & Company serves interior designers, architects, landscape designers, real estate developers, builders and select homeowners. Our work has been featured in highly regarded publications such as Architectural Digest, Veranda, House Beautiful and Southern Accents. Peruse our portfolio section to view some of our favorite projects! With Iron Top Designs you can expect distinction and reliability. We manufacture stair railings, balconies, chandeliers, wine doors, interior and garden decoration, doors, gates, fences, furniture, light fixtures, etc. We work with wrought iron, stainless steel, aluminum and galvanize; commercial and residential projects. We put together top quality products with excellent finishes and delivering durability and beautiful ornamental pieces. We bring to life the idea you envisioned and give your house the unique touch you were looking for. Each project is unique and fascinating; we work with you every step of the way to provide you with a wonderful ornamental piece for your home or business, we go the extra mile to please our customers and exceed their expectations. The foundation that led to Indital USA started almost 40 years ago as a small wrought iron parts shop making iron gates, wrought iron fencing, and decorative railings using classic techniques in the hills overlooking Schio, Italy. As a family business steeped in tradition and passion, the company started to expand into other European countries soon after its start. It was only natural that United States would be on the horizon. It started with a few containers of balusters and decorative bar products with a select customer base that led to a joint venture in 1994 in Houston, TX for faster distribution. 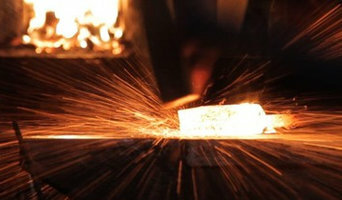 Today, with over 30,000 unique architectural metal components made of wrought iron, stainless steel, and aluminum, Indital USA draws off the many years of experience from its parent company; Industria Italiana Arteferro S.p.A. Dr. Bruno Gonzato had a dream to spread his intense interest in the historical role of blacksmithing world-wide by bringing back the fine art of wrought iron on a grand scale. Today, Indital USA embraces that same reverence for architectural focal points established years ago simply with some fire, an anvil, and a hammer. The team at BMD Woodworks is challenged with mending creativity, beauty, practicality, and function into every piece we create. Taking your vision and translating it into beautiful artwork is only half of what we do. It takes an equal amount of talent and skill to bring that artwork to life in a physical form. We proudly design and manufacture Faux Wrought Iron decorative grilles, window inserts & coverings, wall decor, ceiling medallions, cabinet accents and more. Our products our manufactured in Spring, Texas and distributed all around Houston and the surrounding areas. All our pieces are made 100% in-house here in Klein from design to production to finishing. We source all our materials locally and only serve the greater Houston area. We are a custom one-off shop. No picking from a catalog and ending up with the same piece as your neighbor (unless that’s what you want - we don’t judge). Everything we do is designed specifically for you and your individual taste and custom made one at a time to fit each individual opening or area. Refine Manufacturing & Design is a custom wood & metal fabrication & design shop that builds unique pieces for homes and businesses. Iron Plus has manufactured handcrafted wrought iron furniture in the Houston area for over 16 years. 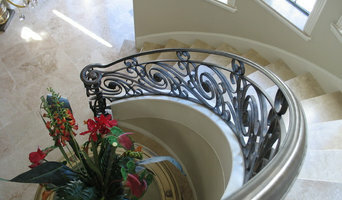 Located North of Houston in Humble, Texas, Iron Plus is Your complete source for Wrought Iron Furniture, stair cases, outdoor and indoor railings, iron gates, fencing, handrails, security bars, custom iron gates, balcony rails, stair rails, and just about anything you can imagine. At Colonial Iron Doors we specialize on manufacturing custom iron works. Every product is hand crafted and we have been in business for nine years serving the state of Texas. Mares Iron Work has been servicing the Houston area for the past 8 years providing Iron gates, Iron doors, Iron railings, Iron fencing, and Ornamental iron work for many designers and builders. 30 years experience in welding and fabrication. Conceptual designs, modifications, interior and exterior cosmetic designs, minor structural and repair. Experienced with aluminum, carbon steel, stainless steel, copper, brass, moly and titanium. Iron Kreation LLC is a family owned and operated business. We have performed our quality work since 2000 and strive to satisfy all of our customers needs. Iron Kreation LLC has a variety of custom fabrication ideas we can provide. We have different designs to accommodate each and every client. Iron Kreation can provide you with a design or if you have a design you have in mind, Iron Kreation can fabricate and get it done for you. We use the best quality with our work performance. Our staff specializes in making our clients feel the importance of their projects. We provide a very professional environment for our clients. Iron Kreation LLC will strive to make our product your best asset. We specialize in custom ornamental wrought iron doors, stair rails, wine doors, balconies, driveway gates and more. All of our products are forged by hand at our shop, where you can come and take a tour. We have contracts with Houston builders, references upon request . An ornamental ironworker fabricates bulk iron into the types of structures that a particular home calls for, then installs them onsite. Some of these pieces are mass produced, others custom crafted. Many ornamental ironworkers also have the design skills to fashion unique decorative components. Ironworkers must be trained in safety to create elements such as railings and balconies that both satisfy a home’s aesthetic needs and meet Houston, TX building codes. Here are some related professionals and vendors to complement the work of ironwork: Fencing & Gate Sales & Construction, Decks, Patios & Outdoor Enclosures, Siding & Exteriors. Find an ironworker on Houzz. 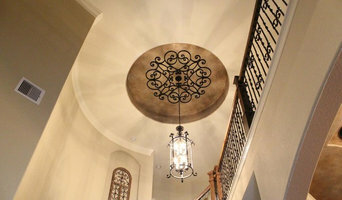 Narrow your search in the Professionals section of the website to Houston, TX ironwork. You can also look through Houston, TX photos to find examples of ironwork that you like, then contact the ironworker who fabricated them.